« What is the point of the body? I used to think liberalism (in the sense of a low view of the Bible) was basically a Western problem. In Kenya there might be other threats – e.g. prosperity gospel, assuming the gospel – but liberalism is not really one of them. In the vast majority of churches (in contrast to the UK) the Bible is revered as the Word of God, a divine book, our supreme inerrant authority. It might not always be taught faithfully, pointing to Christ, but at least you don’t have the massive problem in many British churches of huge scepticism or outright opposition to the Bible as the Word of God and even the idea of any revelation or outside authority over my life. Now I’d still say that is basically true – there is that big difference. But recently, after a number of conversations and experiences I’m starting to think that maybe liberalism is actually a strong latent threat in our context. Most of the time, as good born again evangelicals and pentecostals we will say, “I believe in the authority of the Bible. I believe it’s God’s Word. I believe it’s completely true. It’s my authority in everything.” But what about Jesus’ teaching on divorce (Matt. 19) or Paul’s teaching on singleness and marriage (1 Cor. 7) or the role of women in the church (1 Tim. 2)? I’ve been shocked on a number of occasions by just how quickly uncomfortable verses can be quickly dismissed as ‘culturally conditioned’ – perhaps with a, “Of course in those days they thought…” or “We all know Paul didn’t like women”. When we come to uncomfortable texts which is more common? To say, “These are tricky texts lets really wrestle with them in their contexts to understand what they mean” or to reach for scissors and quietly snip them out of our Bibles? Which is the more common assumption? a) this must make sense, this is God’s word, if I don’t see how it fits with the rest of the Bible picture I need to keep working until I do and if it’s still uncomfortable to me then it’s me that wrong rather than God, or b) if it fits with me then it’s right, if it doesn’t fit with me then it’s not from the Holy Spirit but from man. I’m now wondering (and this is just a tentative theory – come back at me) whether a lot of the difference between the degree of acceptance of the Bible between the UK and Kenya comes down to the degree of fit between the Bible’s culture and ours. So in the UK to talk about wrath, hell, sacrifice, authority, discipline, holy war, opposition to homosexual practice, and different roles for men and women, is incredibly counter-cultural and offensive to British liberal culture. In contrast, in most Kenyan cultures (give me feedback on this please) I would guess that most of these things are less intrinsically offensive. It is just the last one – gender roles – which, with the very fast social change here over the last twenty or thirty years, no longer fits with our culture. (The idea of church discipline and even evangelism also seems to be becoming unpopular in some middle class Nairobi circles). 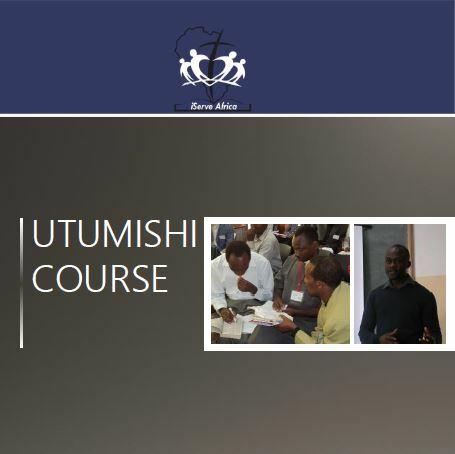 A Tanzanian friend suggested to me a while ago that as the region becomes increasingly secularised/westernised/pluralist/postmodern over the coming years, the proportion of the Bible we are uncomfortable with will increase and increase – because, with many, it was never so much a deep seated conviction about the truthfulness and authority of the Word but, in practice, often a hermeneutic of comfortableness-with. Is the Bible written by men searching for God or by God searching for man? Is the Bible beneath me, beside me or over me? Thanks Andy for posting this. It echoes what I’ve been grappling with over the years. 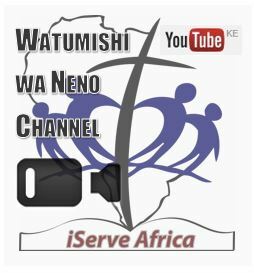 My simple question has been ‘what exactly is the percentage of Christians in Kenya?’ Without deeper convictions of what one believes as the core of Christianity and the inerrancy and sufficiency of scripture, we are just like little children being tossed to & fro by every wind of doctrine- and that is what we are. Raw nerve that one Andy. True observation. The bible is never really on the driving seat of most of our evangelicals. It is a tool to be used from time to time-a slave, not a master to our teaching and preaching. As you rightly put it, it’s truths are embraced to the extent they don’t rub us the wrong way. When they do, we take the same western path – it was Paul’s culture. Then we begin to pick and mix what we can use and what to dump. Have another look at your earlier post on the threat of pragmatism). In society that seeks ‘community’ at all costs, you are stirring the hornet’s nest but glad that you could, and did say it. I did fear to hit ‘Publish’ on this one! The last thing I want to do is stir things up unnecessarily. I’m very aware of some wonderfully solid brothers here. And I’m very aware how long it took me to accept the authority and perfection of the Bible – doctrinally let alone in practice in my life. On the whole issue of community…. I wonder whether you could make an argument, from the passage Fidel alludes to – Eph. 4:13-15 – that actually genuine, deep, mature, loving community is not possible without agreement in the objective, personal Truth. Andy, I know you have sensitivities where you are that, for instance, I wouldn’t have here in the UK, but I don’t think you should hesitate to publish discussions like this. Maybe a sensitive issue, culturally, but the spiritual/biblical/eternal realities transcend any potential cultural faux pas (intended or otherwise) and, to my mind at least, it’s good to have slightly border-line debates – if that’s what they are. In terms of the way that believers will often ‘pick ‘n’ mix’ their biblical convictions based on convenience, sadly I think you’re very right. The specific issue of divorce, for example, is so clumsily dealt with that it almost makes me wince when I hear churches in the West trying to deal with the issue in context of the sheer volume of failing/failed marriages and the the ‘right’ that folk seem to think they have of remarrying etc. It’s profoundly sad and, on that point specifically, Piper is right when he talks about the low view we have in society of marriage that allows this process. 2) As Psalm 139 says of the Spirit, where can I go from You? If I….you are there. If I…..you are there. He is, and the bible is, everywhere all the time forever.